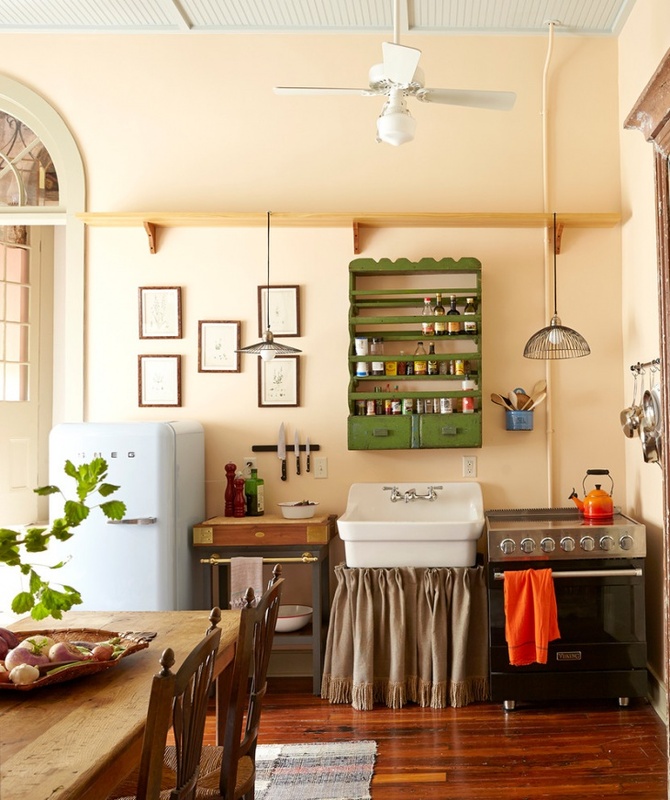 This small one wall kitchen design is neat and pretty. 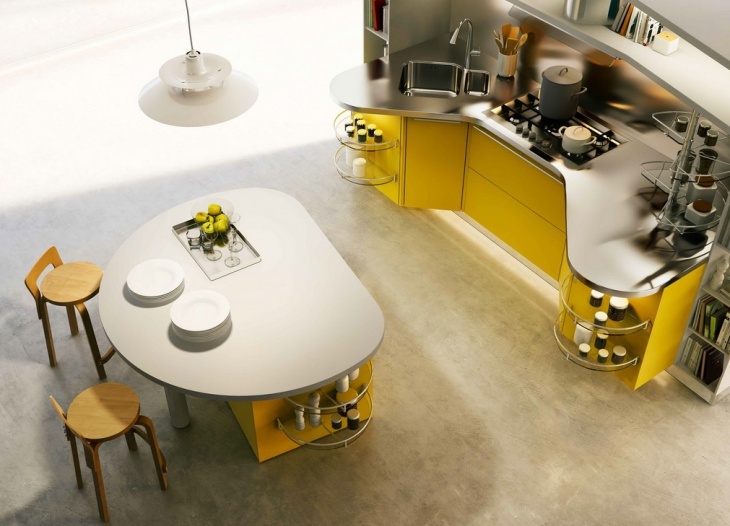 Designed in a silver and yellow theme which is vibrant and eye-catchy, this cute little kitchen has a very efficient and functional wall design with a round kitchen island and where all the elements fit in one wall. 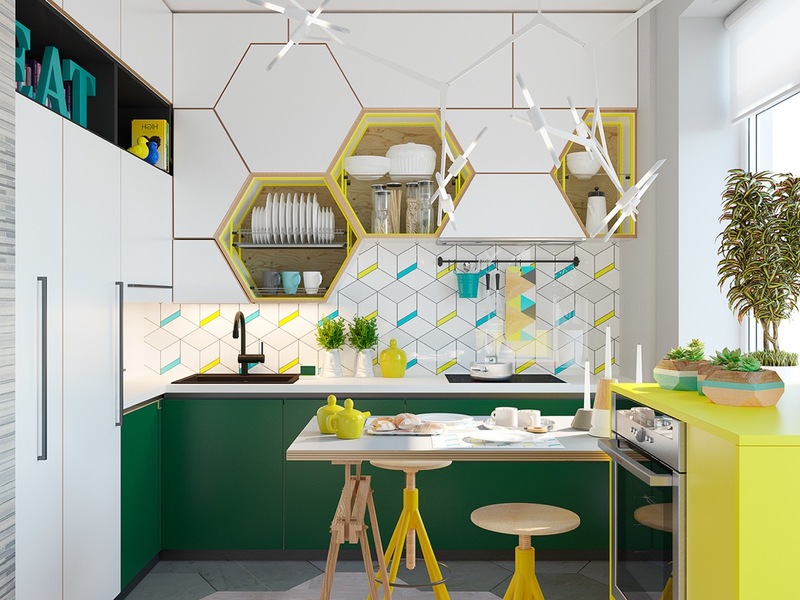 This is yet another one wall kitchen design which is rather quirky and has a funky themed design. 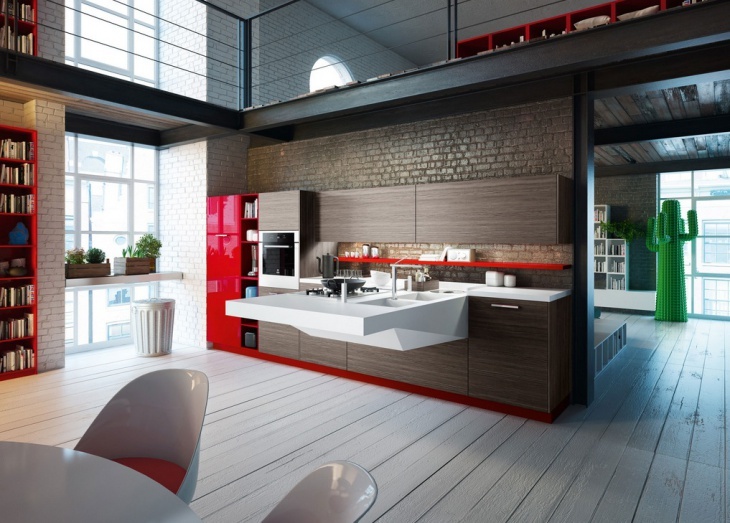 It is more of a contemporary kitchen design where all the elements of the kitchen have been creatively designed to fit under one wall. The cabinet ideas are super creative. 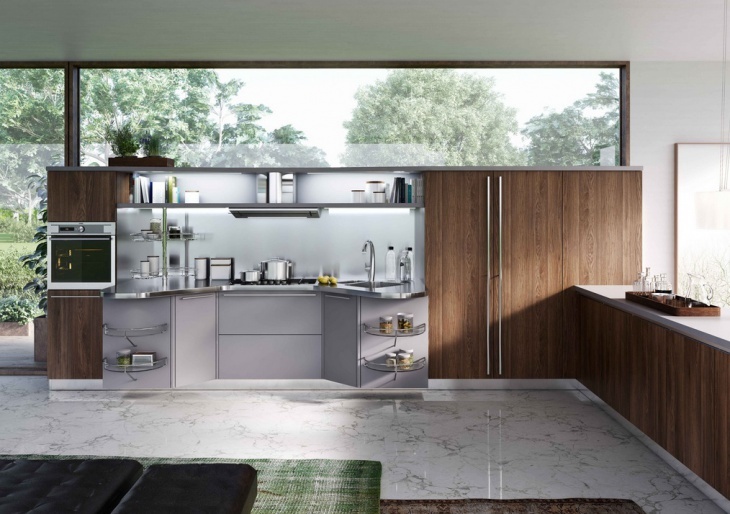 This modern and beautiful one wall kitchen features all wooden cabinetry. The cabinets are fitted under one wall which is very large with opening doors. 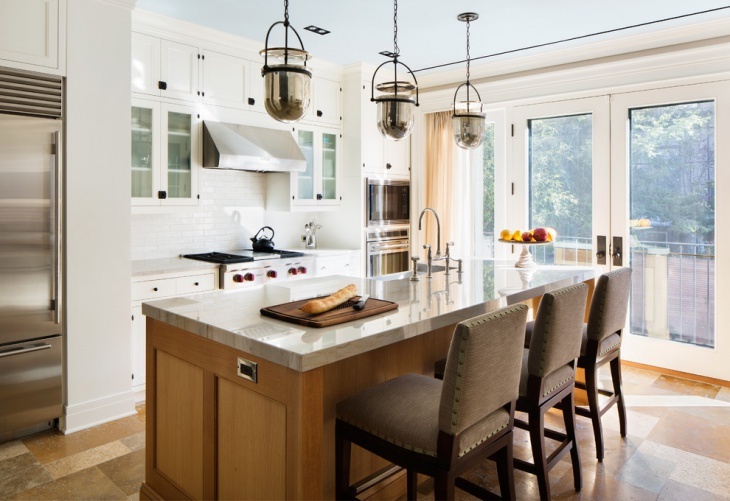 It features stainless steel fittings along with the wooden cabinets. The cabinetry which is fitted in the wall has a beautiful green backsplash enclosed with a glass door. 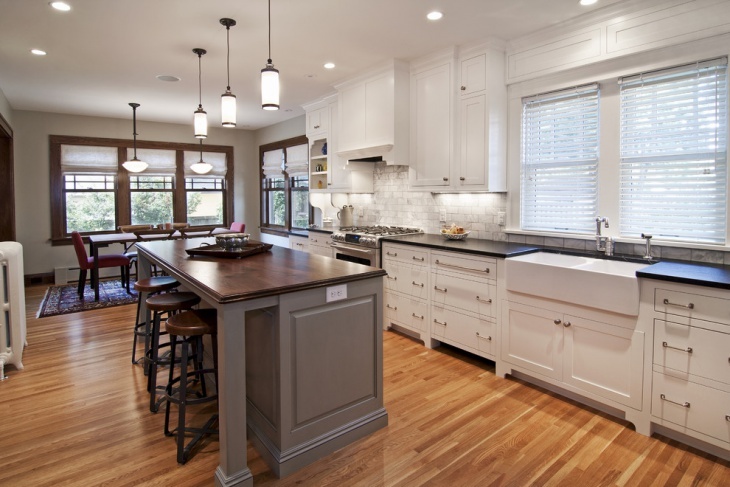 This is a modern cottage kitchen in a one wall design and has very luxurious interiors and hardwood flooring. It has a large double door refrigerator which has been fitted in the wall. 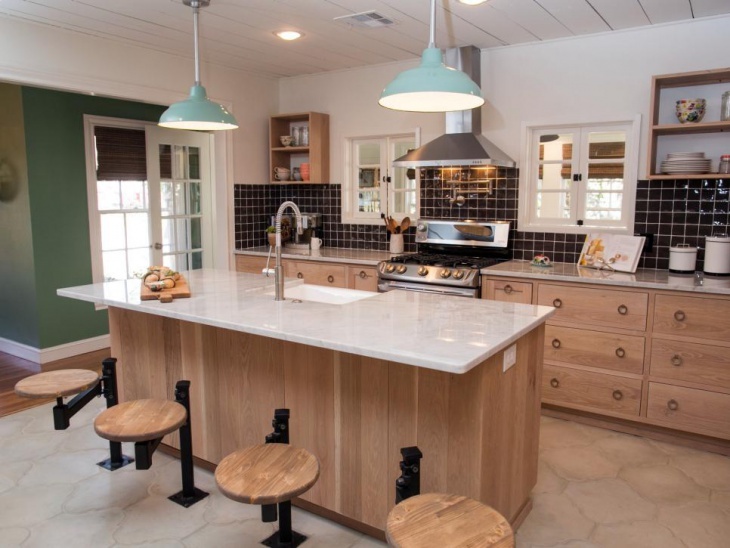 It also features an island table with pendant lights and other types of lights. 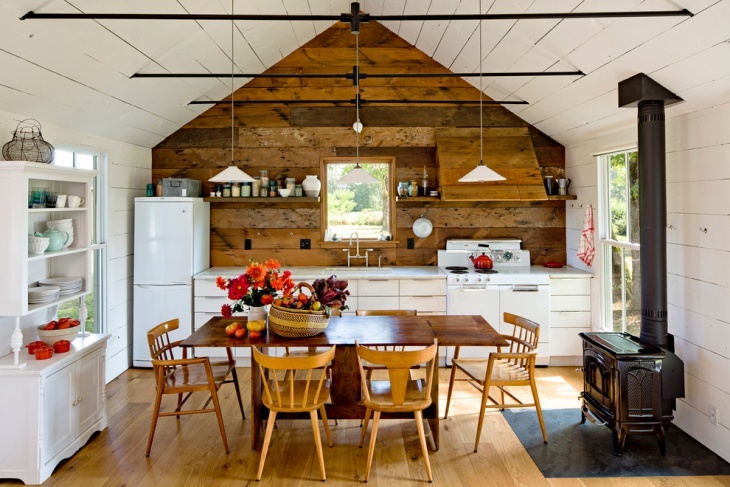 This is a tiny winy one wall kitchen in a farmhouse built in a country style. 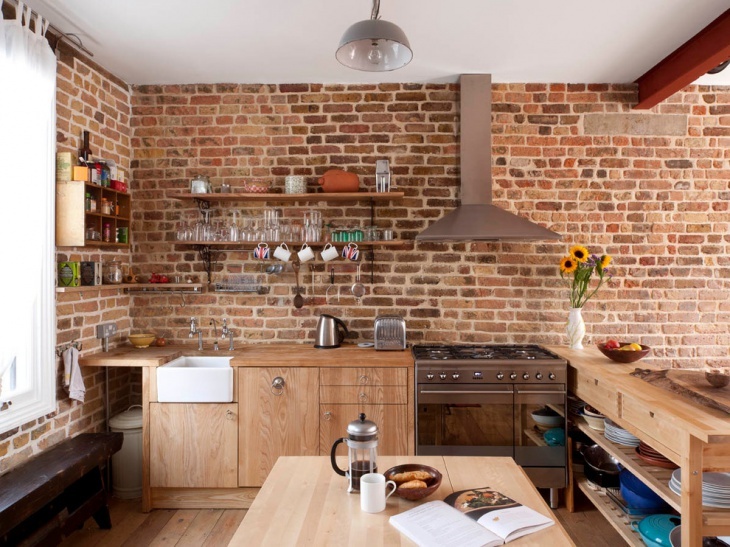 It features a small cottage style wooden wall where all the kitchen elements have been placed along with an opening in the center which acts like the chimney. 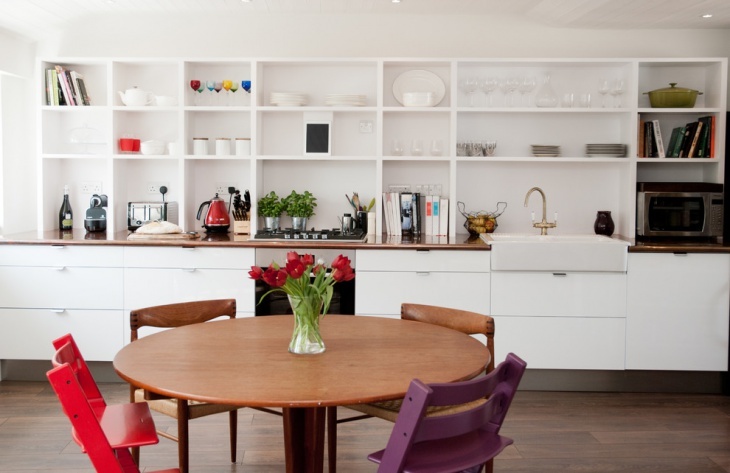 It also features a dining table inside the kitchen space. 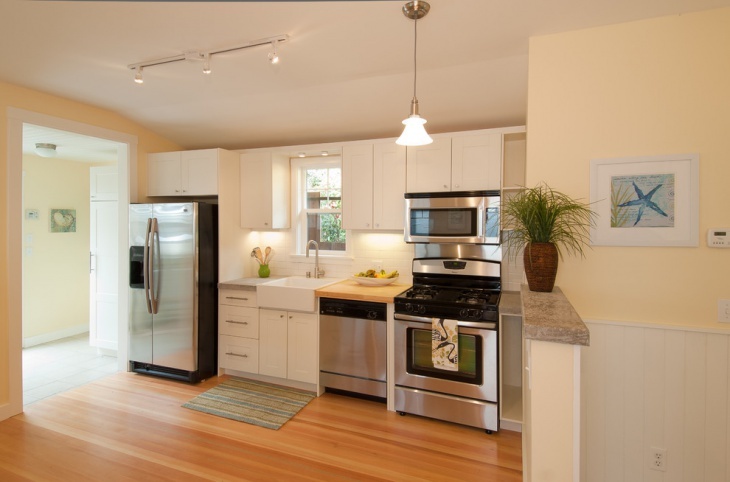 This is a transitional one wall kitchen with a contemporary design. 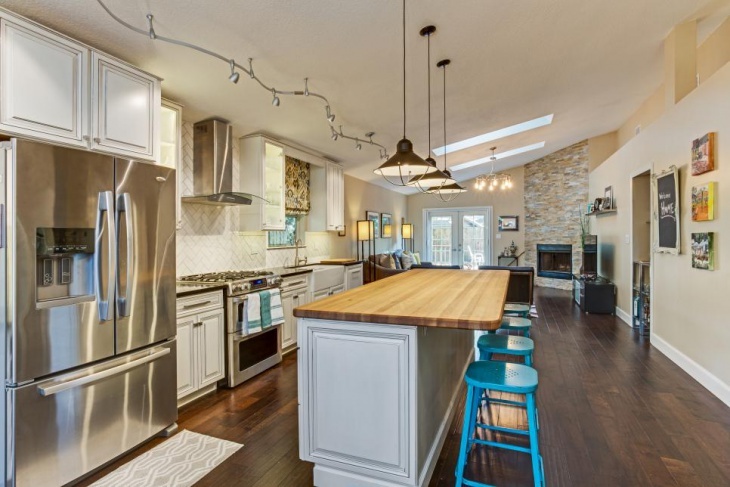 It is an open concept living room kitchen where all the kitchen elements fall neatly on one side of the wall. It is compact and transitional. It includes the dining area inside the kitchen as well. 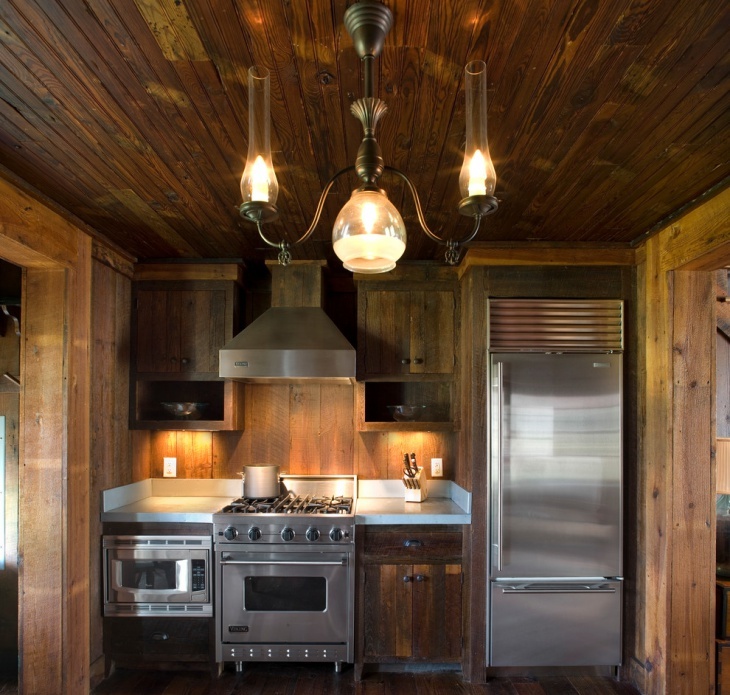 This farmhouse kitchen in a traditional style featuring one wall kitchen design is highly functional and efficient. 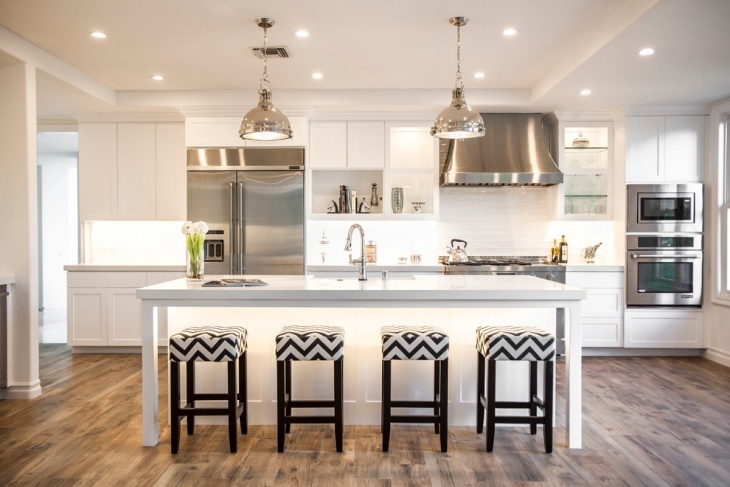 The cabinetry is built on an all white theme with the usage of deco material and has the light wood flooring with subtle lighting inside the kitchen space. 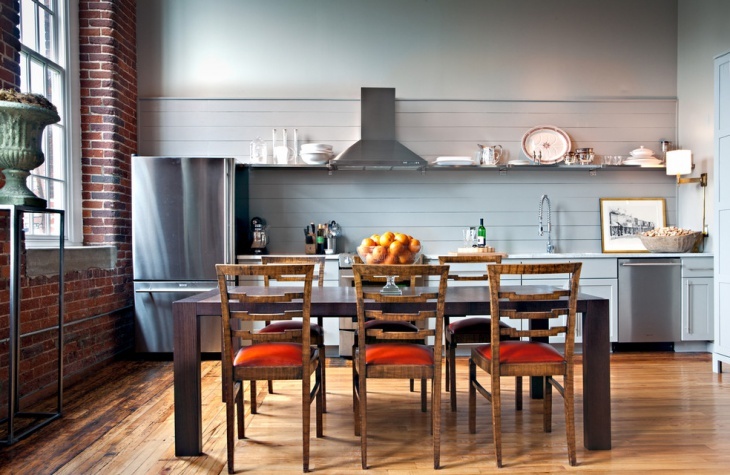 One wall kitchen design is highly functional but is not popularly adopted by many. 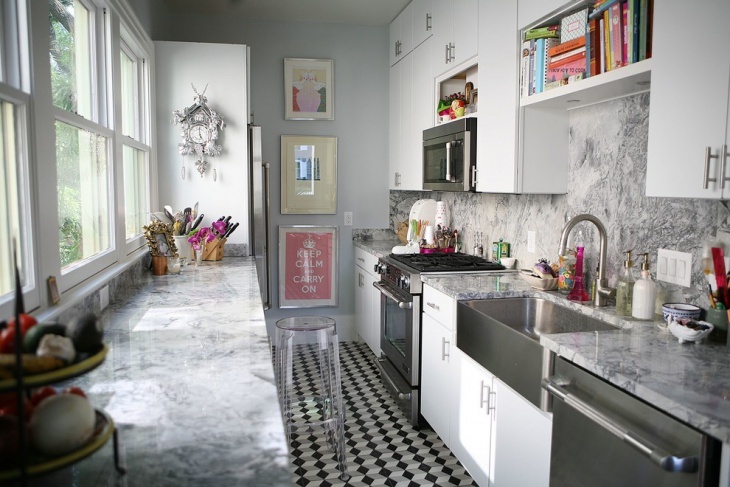 This is a great idea for those with a small or confined kitchen space as all the necessary elements of the kitchen fall in one place.